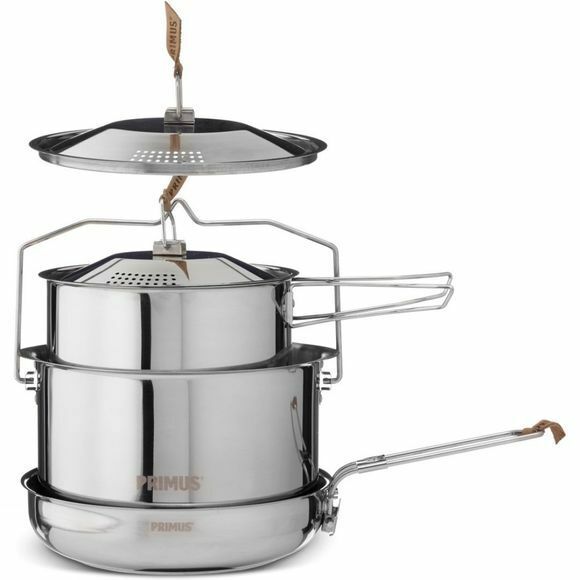 The Campfire Cookset from Primus really allows you to flex your culinary-genius muscles in the outdoors. Each of the pots sits inside another to ensure easy and compact travel, while the bottom of the pans is clad in aluminium to ensure an even spread of heat when cooking over a campfire. The lids that are supplied for the pots boast an integrated colander for easy draining when it is required. A real workhorse set that has been designed to last.